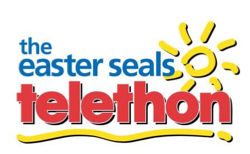 The 30th annual Easter Seal Telethon takes place this weekend and will be broadcast live from Lansdowne Place Mall and CHEX TV studio’s this Sunday, March 3rd, on CHEX TV and TV Cogeco from 11:00 am to 5:00 pm. The annual Telethon provides an opportunity to get to know some Easter Seals families from the community and hear their stories, including local Easter Seals Ambassador, 8-year-old Aidan Cameron from Cobourg. In addition, the Telethon will celebrate the year’s fundraising successes, recognize generous supporters, and raise essential funds that help children with physical disabilities and their families who need assistance. Donations can be called into the show live throughout the broadcast to 705-874-2121 or 855-239-3972, or can be made online at Eastersealstelethon.org. Also follow along on Twitter @eastersealsptbo and the hashtag #telethon2013 on Twitter.